Many years ago, I bought my mom an odd Mother's Day gift. It was a little book called Stiff: The Curious Lives of Human Cadavers, by Mary Roach. People looked at me funny, admittedly, but our family is kinda into the gory details. 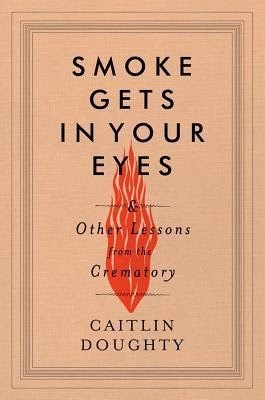 When I started seeing buzz about Smoke Gets In Your Eyes and Other Lessons from the Crematory, by Caitlin Doughty, I knew I'd found the next Stiff. Something gross, insightful, and worth sharing. Luckily for me, Heather beat me to the punch and bought this book for me! Which I, in turn, shared with my mom. In short, we're all very happy for having read it. So what does all that boil down to? Doughty is honest about her everyday work in a San Francisco crematory. She describes the process, the machinery, the everyday work of dealing with corpses: smells, appearance, decomposition. She also explores the lesser-known parts of death work: picking up bodies from the morgue, the hospital, ordering cremation services online, dealing with people's families in the midst of their toughest times. She also ruminates on the funeral industry in general....the good, bad, and ugly. Furthermore, she finds opportunities to share death practices from around the world and how other cultures, in facing death in a more straightforward manner, may actually have a healthier relationship with their mortality. There is a lot going on here, and it's just wonderfully done. The writing is warm and humorous and inviting. The stories might make you a little queasy at times, but it's ok because Doughty is dealing with the same feelings...especially in the beginning. So whether she's grinding bones, getting sloshed with melted fat, or ruffling around in the "reefer" cooler, we're in good hands. I went into this book expecting some honest gross stories, but what really comes of it is some really raw emotion and well-thought arguments about the way Americans deal with death. It was plenty to think about, and it's definitely worth sharing with your mom if she's into this sort of thing. Also, if you're interested in learning more about this topic and Caitlin Doughty's work, check out her YouTube channel, Order of the Good Death. There's a whole "Ask a Mortician" series! Hm, I don't know if I could handle this right now but it's good to know it's well done. Definitely! If a book about death can be upbeat, it definitely is. And sensitive, too! Yay, I'm glad you enjoyed it! Like you, I was expecting some gross stories, but I was pleasantly surprised by how thought-provoking this book was. Absolutely! She definitely injected some serious discussions and nuance into this one, which I always appreciate. I knew you would love it. I'm so glad Pam did too! I don't know why Google is refusing to acknowledge me. I feel invisible! You were prolly logged into a Dewey account somewhere. I hate it when it does this to me! Ha, not sure I could quite stand to read it, but I enjoyed your review! I also loved Stiff, so I will have to add this one to my ever-growing to read list. Definitely do. It's really fantastic! I want to read Stiff AND this one. Glad you enjoyed it! I think you'll love both! LOL! I loved Stiff and received some mighty fine blank stares from my family when I explained what I was reading. Adding this one to the list, too! I read a book by Kate Sweeney last year called American Afterlife that was basically about the death industry and it was one of the most interesting books I read last year. This sounds maybe more emotional but definitely as interesting. Thanks for sharing! YES! Candace from Beth Fish Reads was telling me about that one. She really enjoyed it. I'm adding it to my wishlist as well. Definitely! Also, check out Beth Fish Reads. She did a post very much like that with some of her faves. My wishlist keeps growing and growing with these kinds of books. I already wanted to read this, and then you went and mentioned Mary Roach, and now I'm practically tripping over myself to get to the bookstore, except, wait, it's 10:10pm on a Monday, so I guess I'll have to wait until tomorrow. Seriously, this sounds wonderful. 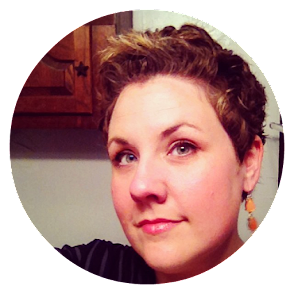 Have you read/heard of Working Stiff? One woman's memoir of her time studying to become a Medical Examiner. Could be an interesting pairing with Smoke Gets In Your Eyes (and Stiff). LOL! Get thee to the bookstore as quickly as possible! It is really good. I've heard of Working Stiff. I think it's on my wishlist, but I need to make sure! Many Hindus traditionally are cremated, so this definitely strikes a chord with me. My family does burials, actually, but I always wonder on both sides. On the cremation - is it hard not having a place to go visit? Or is it better because the person is really all around you, everywhere? I always thought it'd be difficult not to have a place to visit, but I have a couple of relatives who passed in the last few years, and their families keep their urns on the mantle, basically. So in a sense they always feel close. For me, I am not a fan of the idea of embalming so I'd prefer to be cremated and my ashes scattered or buried on my family's plot. A little combo of options all rolled into one for me. Wow, this sounds a lot more thoughtful than it could have been. I've been hearing only good things about this and would love to pick it up.